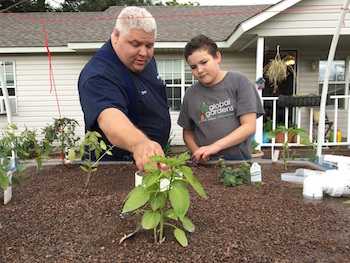 A middle school in Tulsa, Oklahoma is now home to an aquaponics system. The endeavor comes courtesy of nonprofit Global Gardens, which sees garden education as a way to not only help students in low-income communities become more knowledgeable about science, health and the environment, but also to become more confident and forward-thinking leaders. Aquaponics is only one facet of Global Gardens’ focus. Its middle school site and three elementary school project locations not only teach broad-based gardening skills to kids, but also depend on wide community participation. As such, all four projects are education-centered. Each brings together members of the community and offers participating students much more than gardening education.